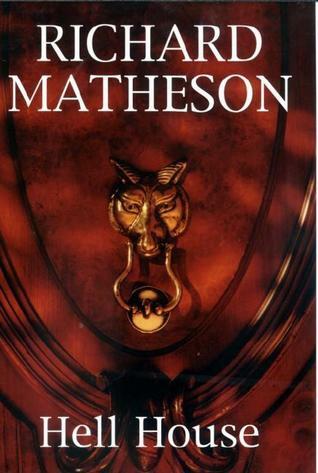 After reading the mind blowing novel ” I Am Legend” I started looking for more books from author Richard Matheson. 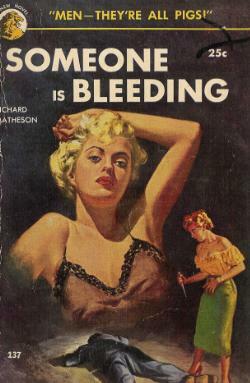 I found this novel which was first published in 1953 ”Someone is Bleeding” it is a thriller novel with full of suspense. 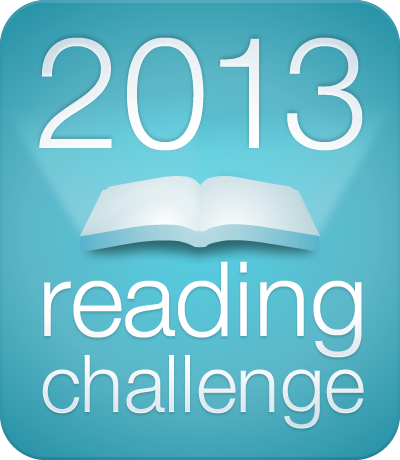 I finished reading this book in a day. I appreciate the author for his creative ideas and wonderful suspense. Someone is Bleeding is the story of young author David Newton who visits California to write his novel. There he falls in love with beautiful young woman Peggy who tells she is divorced. But life is not that simple when he comes to know that Peggy is in her lawyer’s control who also used to be good friend of David in college days and has some personal reason to hate later. When he learns from her lawyer that Peggy is not divorced but her husband was killed by her,his nightmare starts. Then series of murder with ice pick starts around him. Who is the murderer? What is exactly the point behind this murders? I found the plot little bit messy other than that it was very successful in creating the tension and building the curiosity while reading. I am looking forward to read more books from this author because his writing style is unique. Imagine, what if you are the only one living in the whole world but when its night you have to face all living dead ”Vampires” searching for you! Neville is essentially the last man on earth, and the loneliness of his situation is the central part of the story. He roams wherever he wants in day time but during night he locks himself inside his house where it is safe from vampires. He uses all possible methods to keep the vampire away like Garlic, running water etc. You may think what is new in this, we have seen and read about this kind of myths over million times. But this is different because there is a secitific explanation for everything, even the use of garlic or any other substance to keep them away is scientifically described. Here vampirism is no dark power, its just a disease but very ugly, cruel, blood sucking disease. After being lonely for very long time he finds a women and everything changes. I don’t want to spoil the fun by telling what happens so it is left to readers to read and find out how story goes from here. 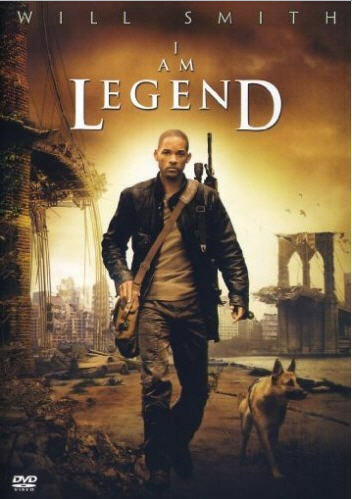 I watched movie based on this novel by the same name- I am legend starring Will Smith. Story is changed in the movie and its not that horrifying compared to the book. I would suggest to read the book before you watch the movie if you are not watched yet. Some parts in the book are scary like group of vampires calling Neville from out side to come out and every day it’s the same thing. I don’t think I would last for even five minutes in such situation! If you are fan of Vampire Novels then go for this book. But I should warn you that it is slow going.